Hi all. Checking in from Maine one last time before we head home tomorrow. Wow, that week went fast! 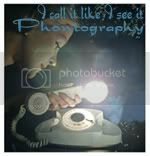 The prompt this week at the 52 Photos Project is "one word to describe yourself." That is a hard one don't you think? 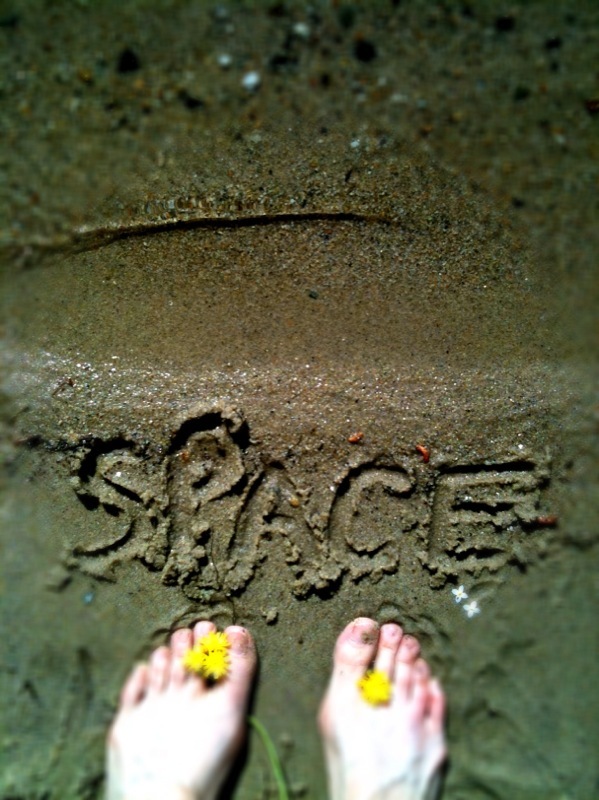 In January I chose the word "space" as my word for 2011, and while I haven't done much blogging about it, it's been in the back of my mind a lot. I even drew it in the sand at the lake yesterday. Did you choose a word for 2011? Since we are about halfway through the year I am curious--have you used your word the way you thought you would? How funny, my word for 2011 was also space. At the time I was mostly thinking about the importance of physical space because I had recently moved homes and offices but since then I realize I've given myself a lot of mental and emotional space to grow. I'm also working on giving myself space to not do things. Interesting process. ~begin~ is my word. I LOVE YOURS....oh how I am often trying to clean my space...it's just that I love all my crap! Love the toe embelishment! Nice photos and what a great word choice. My book arrived - YAY! Have been enjoying browsing and getting lots a new things to think about. Thanks for having a give away!! Cool word! Love the focusing on the photo! Trust me I too have been try to clear some space out at home. It's tough to let go of things - I have emotional attachments to crazy things, scraps of paper, collectibles that I no longer collect - esp. when they are bought for me!!! And NYC - I looooove NYC!! I've only been once and it is all I can think of - to the point of planning a solo trip! Vacations and trips away do go fast - I know my recent one did. I hope yours has been filled with lots of memory making moments! My word is "Reveal". It has been an appropriate one, as I wanted this year to reveal some new opportunities and a new path for the future. So far, new goodness has been revealed and some plans formulated. I will have to catch up on your Maine photos -- we used to live in New England, and I love the coast there! My word for 2011 is focus -- hoping to be less scattered by carefully deciding where to put my energy and how to spend my time. I'm feeling like I'm making progress. I'm also on a declutter campaign but only seem to be taking baby steps there. Got any tips? Wow - that is a difficult one! Your word is a good one ... space is important not only personally but surrounding. We've been on a journey for the last several years to rid ourselves of extra 'stuff' we don't need or use any longer. It feels so good! I looked back to see if I blogged about my word, but I don't find a post. Strange! I think it was BLOSSOM. That word is a great one...definitely a good thing to think about...I hadn't thought about it in the way you mentioned but that makes a lot of sense...food for thought! Love the images! I like your word. I chose "abundance" as my word for 2011 and it has been full to overflowing with drama. I think on July 1st, I will change my word to "space" for the rest of the year, just so I can have some. I appreciate you. I love your photos. Also - I've been hearing a lot of good things about Maine lately - hope you enjoyed your time there!